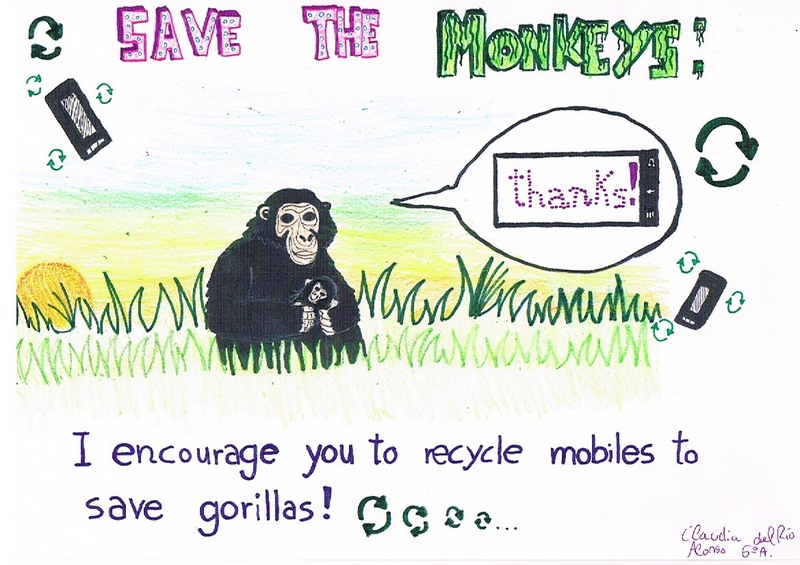 Get involved in our campaign – Recycle mobile phones! Coltan is a mineral that you can find in the mines of the Democratic Republic of Congo. Coltan is used to make mobile phones and other electronic devices. The persons who are working in the mines are even eating monkeys because it is cheaper than other kind of food. For this reason, lots of monkeys are dying. Jane Goodall Institute is doing a campaign to stop this. This campaign consists on collecting as many mobile phone as possible and then recycle them to get the coltan easier, for example, if your mother changed her mobile phone ask her not to throw it in the bin and bring it to school instead, so we can recycle all of them. Now think how many mobile phones are in the world and think how many monkeys had to die because all the persons who work in the mines had to eat. I encourage you to bring as many mobile phones as you can so we can stop this.